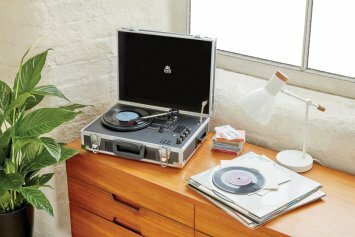 Our first portable record player with Bluetooth and USB, so you can stream your music to any Bluetooth speaker, or record all your Vinyl to a digital format. 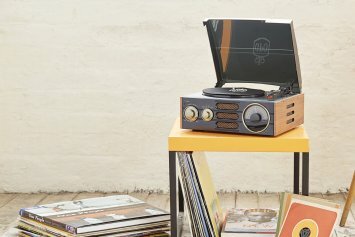 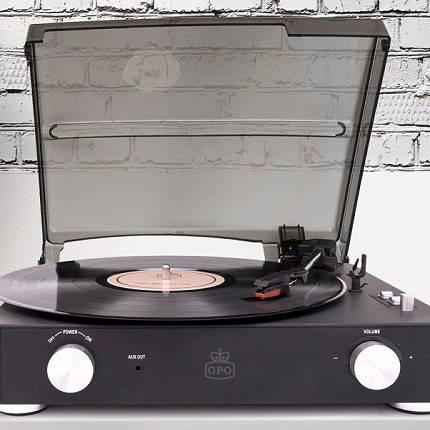 Enjoy your Vinyls or MP3s through the built-in speakers or record your Vinyls to digital format. 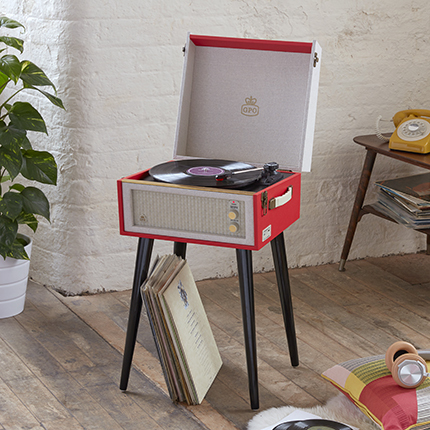 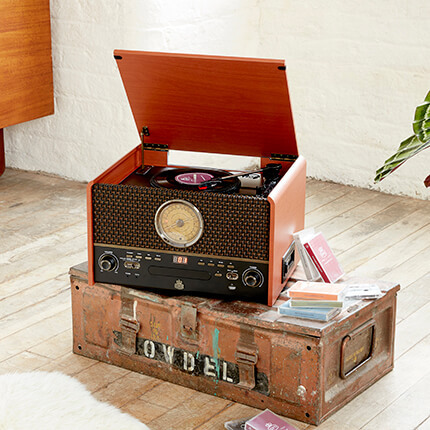 Give your Vinyl the stylish home it deserves with the wooden finish of the GPO Chesterton. 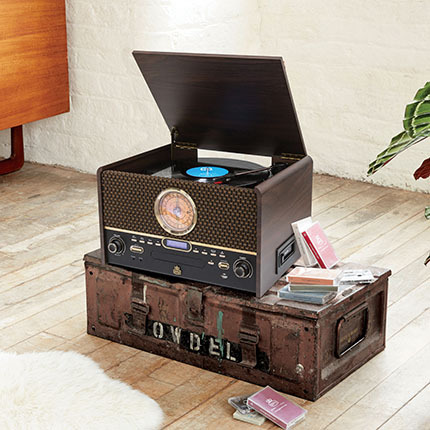 You can convert your records to digital format with USB, stream via Bluetooth or play CDs, Cassettes, FM radio and now DAB radio through the built-in speakers. 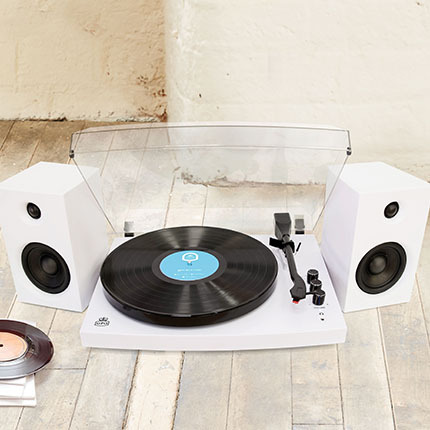 A fully portable three speed turntable complete with jewel stylus, cassette player and rechargeable batteryy, so you can take your music wherever you want to go. 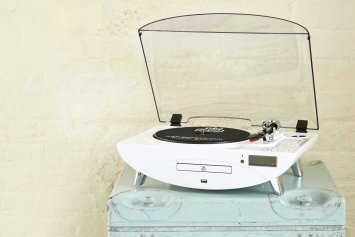 Style matters with this turntable, with its highly polished design, chrome finish and clear lid. 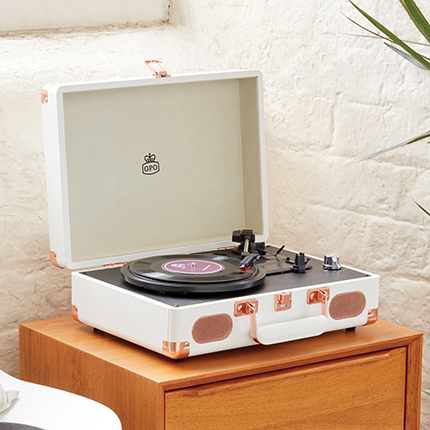 Sleek, stylish, straight to the point. 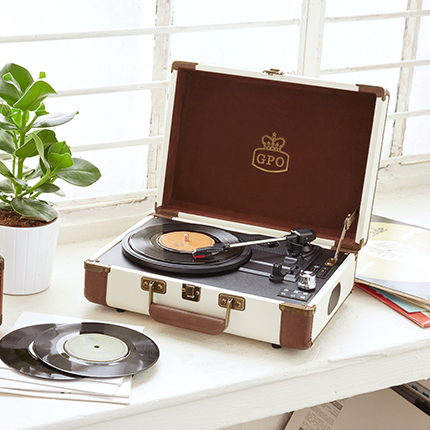 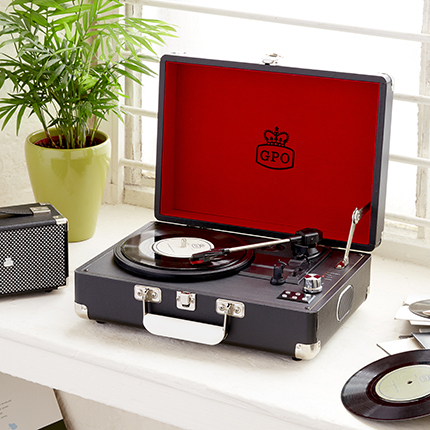 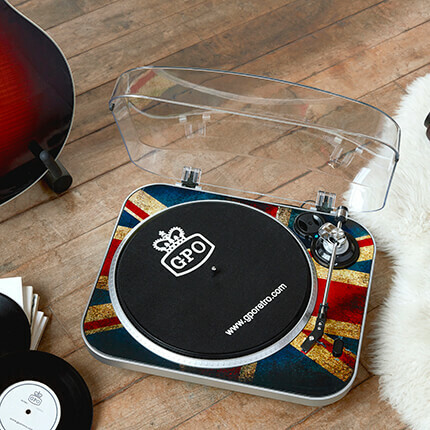 The GPO Soho, made exclusively for HMV, comes in a number of stylish shades: Black & Gold, Turquoise, and White & Rose Gold. 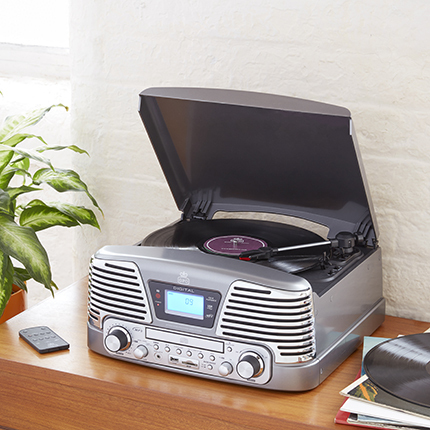 Plug in external speakers to boost the sound of the built-in speakers, and make the most of your Vinyl collection.